When it comes to Software, there are often many questions, both directly and indirectly related to our product and/or support and installation. We have attempted to answer the most common questions that we are asked on this page and have arranged them into categories so you can find the answers you are looking for faster. We will be adding Opto FAQ’s to this page on a regular basis, If you do have any questions that are not covered within the FAQ’s on this page please feel free to contact us. Opto Software is a product of iTMS Software Systems Pty Ltd which is a 100% Australian, owned and operated software provider who have developed a Turnkey software solution for Manufacturing and Inventory businesses as-well as all-encompassing MRP/ERP software solutions. All software development and ongoing modifications and revisions are carried out right here in Australia as we believe in supporting the local economy first and foremost. The software is currently used by hundreds of customers Australia wide and we have been delivering specialised software solutions since the mid 1990’s. 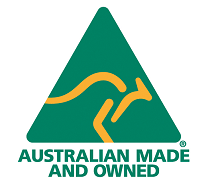 Yes iTMS is 100% privately owned, Australian based and furthermore the owners of the business work within the business every day ensuring that Opto Software continues to provide the best products and service that we are known and respected for and have been for over 20 years. What makes Opto different from other ERP Software companies? Opto ERP Manufacturing Software, being 100% Australian owned and operated means that you, the customer deal with the company who builds, develops, sells, implements and supports the software. We do not have any resellers or partners and hence can provide the best in service and support and not focused on finding the next $! Being a smaller developer has its advantages, we are agile and this means that we implement solutions that are tailored to your business requirements so we will not fit you into a ‘box’. We are truly unique and are committed to offering the very best solution to each and every one of our customers Australia wide. Our solutions are truly turnkey and not merely an ‘add-on’ and we integrated to the major accounting software packages such as MYOB, Xero and Quickbooks to name a few. Do you have an Opto Software representative in my area? We have a small, professional team based in Brisbane and we do not use resellers or partners to promote our product as our product is in-depth and a turnkey solution not merely an add-on so we believe that you deserve the very best in advice and support to ensure a successful implementation. We are often interstate seeing our customers and carrying out new installs, so if a visit in person is required we can normally accommodate. Alternatively we can provide all the information you may require, including a free personalised demo of the Opto solution via the web at a time to suit you and we are always available on-line or via a phone call to discuss your requirements in detail. Our customer range is typically small to medium sized manufacturing businesses, from single users up to nearly 100 users with multiple locations and they cover a diverse range of industries including – manufacturers, fabrication, job Shops, laser & plasma cutting, mining distribution, retail, construction, civil and even import/export businesses. As our solution is turnkey, we work with every customer to implement a solution that is specific to their business so no 2 installations are identical. We have customers that have multiple locations and utilise multi currencies within their business and also require remote web based clocking and real time scheduling, whatever your business is looking for we have most likely provided a very similar installation before. Does Opto include a CRM? Yes, every version of Opto Software contains complete, indepth records of clients, suppliers and employees and can be used for reports, look ups, recording notes, follow ups, financial history and much more removing the need for a separate database. As it can be used for sales orders, your sales department will find all the information to hand to provide professional and accurate quotes to both new and existing clients and to manage all sales orders through to completion and despatch. What customers do you have in my area/industry? No matter where you are based in Australia, we most likely have existing customers that are local to you as we have hundreds of installations Australia wide. In a particular industry segment, and wondering if we have any customers that are similar to you, just ask us as we most likely do. We are a metal manufacturer, with machining and boiler making. The majority of material used on jobs is purchased specifically for the particular job. Does every one of these purchases need to go to the stock system before it is allocated to a job? Materials can be either purchased to stock and picked using a backflush function for jobs, Issued manually to jobs from stock or purchased directly to individual jobs or groups of jobs. Or a combination of all 3. Can the software be used for machinery maintenance jobs, with attached photos and a reminder system for future maintenance? Yes, each Machine or Activity centre has its own record to which date driven notes and attachments (including images) can be applied. Reports on PM activities etc along with parts drawings etc are also available. Multi currency software is a must in these times of growing international trade and Opto caters for any currency natively including US$, Euro and YEN and additional currencies can be added with ease. What is the process to implement Opto? Like any Turnkey software solution, there are processes and implementation schedules and we follow a proven path to ensure successful deployment with minimum impact on your business. This process begins with scoping (requirements gathering) which we call a ‘Discovery Workshop’ and this allows us to gather your business processes and workflows and to document how we are going to address these and provide a solution that is tailored to your business and not ‘off the shelf’. The next step is to implement the system, setup your workstations and to train you, ensuring that you are productive from day 1 thus reducing any downtime and impact on your business. From there we offer ongoing support and assistance and additional training where required. How much does Opto cost? We have 2 pricing models for our software, you can either purchase Opto outright so you have a perpetual license to use the software or you may prefer our subscription based model which offers the flexibility of ‘pay as you go’. If you require a personalised quotation for your business, just contact us and our friendly team will be happy to assist. I am a current iTMS customer, can I upgrade to Opto? What is the difference between iTMS and Opto? Are you continuing to support the iTMS system? Yes, we will continue to provide support and maintenance for the iTMS system, however we cannot guarantee compatibility with newer versions of windows platforms. The iTMS system will no longer be actively developed, however, if a customer requests a modification or change then we will supply a quote for the works to be carried out wherever feasible. We have multiple locations, can Opto cater for this? Yes, we are happy to provide potential customers with reference points upon request, these can be local to your business and/or within your industry or sector. Is Opto cloud based software? No, Opto is not cloud based software and is typically installed on your company server, however we can install Opto Software within a data warehouse if you prefer. We will need remote access to your data rack so that we can install the software and run updates as and when required. Most businesses that we deal with prefer to have the software on their company servers as they do not want to rely on having an internet connection to be able to run the software. Another issue dependent on your location could be speed, if you are reliant on an internet connection to run your software and the internet speed in your area is average then a server install would be advisable as it will provide both the speed and continuity that your business requires. Your business can still take advantage of the additional ‘Web Tool’ add-ons that Opto offers as these can be connected via any mobile device with a wireless or internet connection. What is a typical time frame to install Opto? This is very much dependent on the size of the business and the product and modules purchased. A standard Manufacturing software solution can be live within 4-6 weeks assuming your business can dedicate the required resources to ensure the smooth implementation. What is the licencing model for Opto Manufacturing Software? Opto licencing is based on concurrent users and there is an annual licence renewal fee which can be included within the annual support and maintenance plan.